Another year slides past and it still feels surreal. 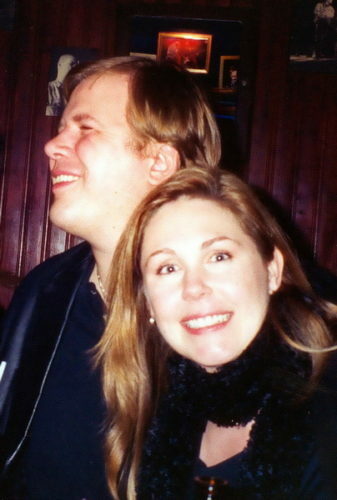 Nine years ago today Jeff Healey passed away after a three year battle with sarcoma cancer. 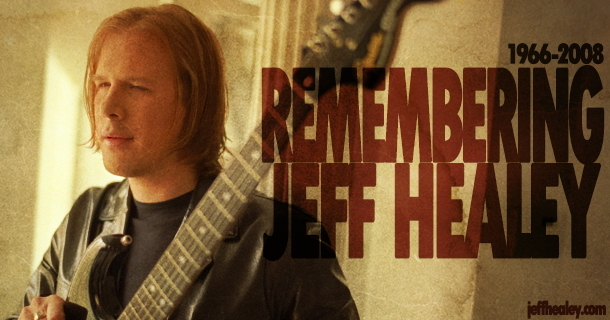 While we are reminded on this day, of such a tragic loss, we choose to celebrate who Jeff was. His life was always full of adventure and laughter. As someone who has inspired people all over the world, Jeff always tried to embrace life and never let a challenge stop him from accomplishing his goals. In fact, he thrived on challenge. Today, we remember a person who filled the world with his passion for music, his lust for life and his incredible character, which always seemed to leave a lasting impression on so many people with his bountiful sense of humour. 2016 was very busy for us here with the year long celebrations of what would have been Jeff’s 50th Birthday. We needed to take a bit of a breather, but we have some awesome stuff coming up this year so please stay tuned for some very cool announcements. Thank you all for your continued support – it means the world to us. You help us to keep Jeff’s memory and legacy alive. Without you, we couldn’t do what we do. Until I saw Mr. Jeff Healey perform in Evergreen Colorado I had no idea what I was in for. I had an idea though nothing would prepare me for what I truly felt and was an historical moment for us aspiring guitarists and purists in the audience that night. Of course so many of us had heard about and seen him in “Road House” but that was very unlike sitting within ten feet from possibly the most talented guitar player the world has ever known. There’s not enough room here to share with words what that show meant to me or an honest way to express in writing how I still feel about that night many years later. “The Little Bear” is truly a classic mountain standard 150 person venue and most likely the best place on earth to see Jeff. For me the most memorable thing to share was how much fun Jeff seemed to be having. Either while he sat on his chair delivering notes with inhuman like passion or while he stood up and played behind his head spinning in place on one foot he literally amazed me and shared something I’ll remember the rest of my days. Jeff played like his soul was truly on fire with passion. At times it seems to have even change how I feel about the world inside ever since that show here in Evergreen Colorado sitting very near to and interacting from the audience with a man driven like no other I’ve ever seen through the universal language of music, love and a passion for life. As an amateur blues guitar player/songwriter/band member going back to the late 1960s, IMHO, Jeff is sorely underrated as a player/singer/songwriter. My wife and I danced to “Angel Eyes” while she was 6 months pregnant with our son Brendan who is now almost 21 years old. I can’t listen that song without it bringing tears to my eyes. He ranks up there with the best guitarists of the last 40 years. What a great memory of My Little Girl. It seems like yesterday when Jeff played at the Brunswick House Tavern. Now it has recently become Rexall Drug Store. LOL. Jeff Healy was the Elvis Presley of the JAZZ world!!! R.I.P.old friend gone but never forgotten. Thanks for all the unforgettable memories. Thanks for sharing your musical soul and heart,with the rest of the world! I must say the very first blues show I attended was the ‘The Jeff Healey Band’ on the Brazilian São Paulo former ‘Palace’ concert venue in 1995. I was 15, and my uncle gave to me a ticket (sponsored by ‘Mentex’) to ride on the Jeff’s blues rock as a birthday gift. My passion for the blues, live, on stage, started that night with Jeff. On that same 95 Christmas I got the ‘Feel This’ album, and some years after, here I am, playing some Jeff’s albums for my one-year Duane, my son. In a blink of an eye, and I’m on my teen again, seeing you live, roaring the best voice I’ve heard, playing like nobody else, feeling the jazzy blues on the rocks. Every time I listen to his music, I ´find it better and better. I didn´t have the chance to see his show live, but have spent many hours listening his music. live is unfair, and he passed away too early, after a lifetime fight against a cruel disease. My hero jeff healey , man the boy could play , I saw jeff healey at cambridge corn exchange England. And was astonished to see such and inspiration and great guitar player , you see I have been in a wheelchair since birth and when I first see jeff in roadhouse it gave me the will to try so much harder and more effort now at a pretty good standard I thank jeff , my hero best guitarist who ever lived , oh and thanks to joe rockman for retuning my money to me for tickets I sent to cambridge and somehow ended up at going to toronto thank you joe it was few years ago now, and yes I celebrate my birthday the same day as jeff how cool. I had the privilege, nay, honour of seeing Jeff at a club in Dallas (1988) called Tommy’s. That place is no longer there, however, the memory of seeing Jeff there will always linger. I very much enjoyed the music but what impressed me more was the prowess in which he played them. I thank you Jeff for the wonderful night I had then, but more important I thank you for the memories I will carry with me to my last days. I know we will meet again. Realmente…eh de decir que la música de este gran genio me cautivo el día de hoy.. cuando un amigo me dio a ver un video y escuche una versión de los THE DOORS mi banda favorita escuche la versión exquisita ….muy fresca si se puede llamar de esa manera…y ahora verme aquí escribiendo..Gracias Jeff por dejarnos este legado de tan agradable melodías y PAZ en donde quiera que se encuentre.. I saw Jeff live twice in Wolverhampton, England. What a musician. The years pass by, the old git staring back at me from the mirror shows me that, but i close my eyes, and i still hear music that pulls at my heart. Angel eyes, hell to pay, confidence man…Tuuuuuunes. I have always been facinated with Jeff’s awesome talent and enjoyed watching him perform since the late 1980’s. As an intermediate level guitar player it is difficult enough for me trying to overcome the learning challenges even without facing the handicaps that Jeff didn’t let stop him from being “The Ultimate Guitar Player”. As the one verse in the song “Rock and Roll Heaven” sung by the Righteous Brothers goes “If there’s a rock and roll Heaven, well you know they’ve got a hell of a band” I know you are amongst all of your past performers and only hope that one day I’ll be admitted to hear that performance. Happy 51st Birthday Jeff, I’ll never stop playing your music or thinking about you.